I’m cold and stomping along Somerset Street quickly in the silence not paying a lot of attention to anything until the fox crosses my path. He’s big (I remember a cat called Taboo and wonder if the fox is living off kebabs) but trots softly and purposefully across and down the steps. Which reminds me that the views across Bristol are impressive from up here. City lights. Still too cold to stop for long but much revived. Surprises: Look up. Look around. Feel better. I have not walked this way from the house before. You can tell it is Bristol, the garages all have interesting, if aging, grafitti. Discarded Christmas trees make obstacle course litter and l walk in the middle of the road, owning the dark. I am looking for a right turn up the hill. 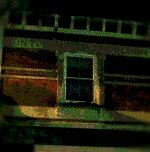 There isn’t one, but I do reach a building intriguingly named Montpelier Toilet Saloon. Time runs out as I struggle to take its photo. We agree to walk by the harbour and I let E set the pace and direction, following her gaze. A red-haired girl and dark-haired boy dangle legs and feed a swan; the tour boat signposts its winter activity and we become sandwiched in a phone conversation, one couple on the walkway, the other inside a bar waving through the glass. The silence is busy and our eyebrows are pantomime loud – so many comments we want to share. 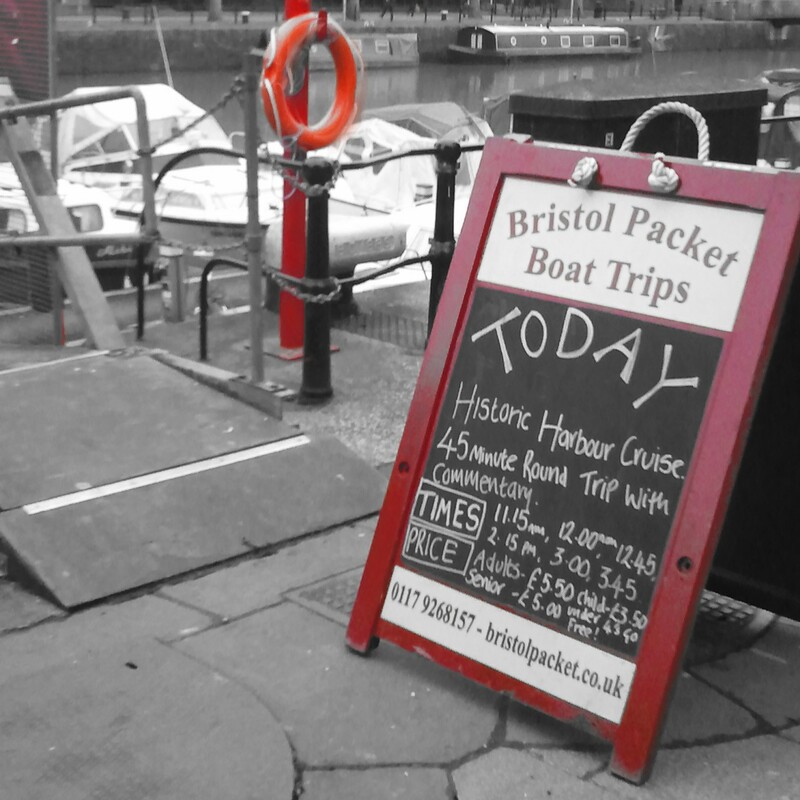 Surprises: At 6 minute we reached a turn in the harbour – a natural journey’s end so… “was time up?” E asked. It would help if I informed my silent partners that the timer makes a noise at 7 minutes! We wanted somewhere a little wild but easy to reach. Where else but a winter seafront? Beach, sea and sky merge – layers of grey in the misty dark. Waves – unseen – roar like a motorway. The sand hardly squelches, so I expect to avoid the flailing of the man on the ‘sinking mud’ sign. We share pockets, hand warmers and thumbs, and I fail to realise that the blue neon we are staring at is a pier.